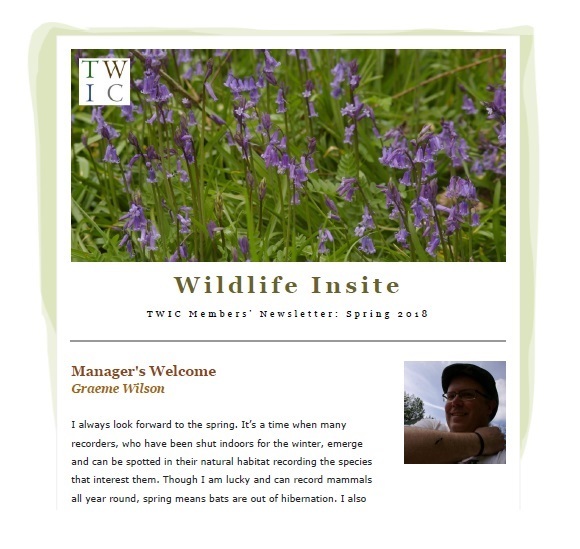 Wildlife Insite is a newsletter for TWIC Members and is produced every 6 months. Back issues of the Newsletter are made available on this page 6 months after publication. Follow the links below to view the most recent issues. To find out about TWIC Membership, please follow this link.